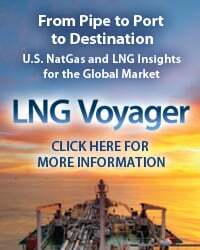 Last month in the Don’t Do Me Like That blog series, we wrote about the latest challenges affecting Canadian gas producers: takeaway capacity constraints right in their backyard in the Alberta supply region, which make it difficult for producers to get gas to demand markets, including the oil sands of eastern Alberta as well as export pipelines moving gas across the U.S. border. 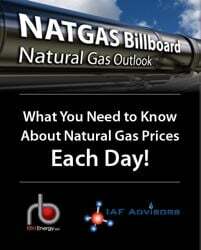 Natural gas prices at AECO — the national benchmark trading hub in Alberta — last fall were pummeled to record lows and even entered negative territory as gas supply became stranded in the region. 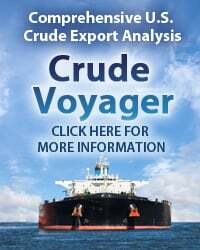 Higher oil prices and rising gas demand from the oil sands prompted producers to crank up drilling activity in Western Canada’s Montney and Duvernay shales and spurred gas production to 10-year highs last year, with the growth primarily concentrated in western Alberta. But with limited transportation options from that area, the increased supply overwhelmed gathering and takeaway capacity, culminating in the price collapse. Since then, the arrival of winter heating demand within Alberta has helped ease constraints temporarily, but without additional takeaway capacity, the problems are likely to reemerge come spring as heating demand dissipates. 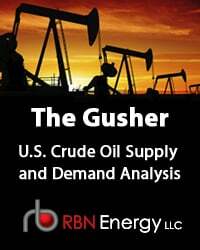 Today, we turn our attention to a more familiar problem for Canadian producers: competition from U.S. gas shale production, and what that will mean for Canadian exports to the U.S. One reason for the localized constraints is producers’ shift toward targeting the oil sands and domestic gas-fired electricity demand as prospects for export demand diminish and the resulting need to reconfigure Alberta’s pipeline system to accommodate that change. But exports to the U.S. are a big part of Canada’s supply-demand balance and that’s likely to remain the case. 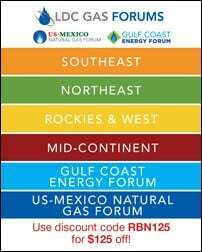 To access the remainder of On the Border - Canadian Producers' Battle for U.S. Gas Markets you must be logged as a RBN Backstage Pass™ subscriber. 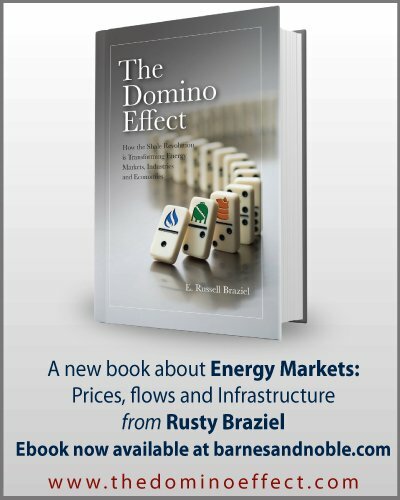 The End of the Displacement – Are Net Natural Gas Inflows into the U.S. Northeast History? 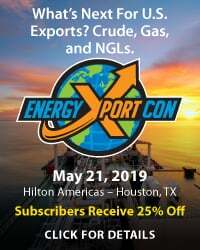 Border Wars – Will Bakken Producers Muscle Out Canadian Gas?